It’s summer time! Summer time is always the greatest time to read contemporary romance, so I’ll be having plenty of those these next few months. 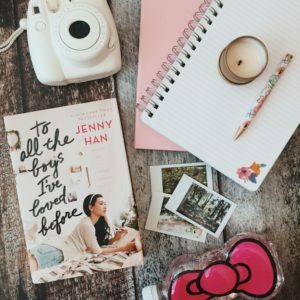 The first contemporary romance I read was To All the Boys I’ve Loved Before. I would say it was the perfect start to my summer reading. I’m 32 years old and still found this young adult book relatable. I’m a horrible driver. The absolute worst. So I had myself a good laugh when Lara Jean described her struggles with driving. I too get lost easily, even with a GPS. I never speed and I hate changing lanes – it all makes me so nervous. Also, Lara Jean loves her romance books and tries to hide the cover from prying eyes. I do the same thing! Lara Jean and I were already off to a good start. I enjoyed reading the relationships Lara Jean had with her two sisters. I’m the middle sister as well. The love/hate relationship she has with both of them was all too realistic. They can annoy the heck out of us, but at the end of the day we still love them. The romance in this book was super cute. I’ve read plenty of books with love triangles and I have to say this one was the least frustrating. I felt like it was obvious who she should be with. I won’t say who so I don’t ruin it, but I am excited to continue reading the Lara Jean books to make sure she ends up with who I am rooting for. To All the Boys I’ve Loved Before was adorable. From the characters to the romance I was all smiles. I’m definitely looking forward to reading P.S. I Still Love You. Hello, Samatha! 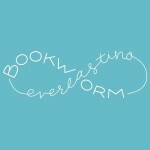 I’ve been following your accounts for a while, and am attempting to make my own blog and bookstgram! I was wondering if you had any advice to share for a fellow bookworm? Thanks! Hi! How exciting. I hope you do make a blog and bookstagram. Its been a lot of fun. I always like to say to be yourself when it comes to blogging and bookstagramming. It’s very easy to forget why we started and be consumed by the glitz and glam of having an account.